I purchased Bella at Petsmart in 2009. I fell in love with her chunky self and little face. She was in with other hamsters but didn’t look like them. I talked to them and she was the only one to come over to the glass to say “hello.” How delighted I was and impulsively bought her. Bella was a wonderful little creature. She loved to run through the house in her pink plastic ball. She came to work with me until the weather got too cold for her to travel. 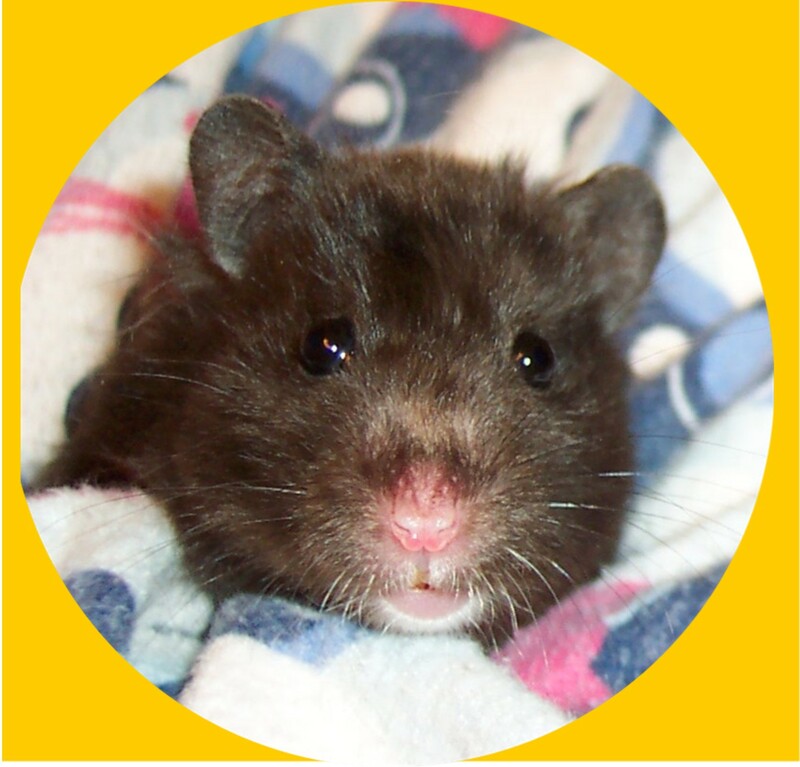 She developed long tufts of fur behind her ears and around her bum which was a trait of a long-haired black bear hamster. Then this year I noticed a bit of hair thinning and turning white. A few months ago she gained weight and stopped wheeling. A week before her death she slept more, ate less and wobbled when she walked. I got home from work on September 27th and checked on her. I held her while she took her last few breaths and don’t ask me how I knew to hold her when I did. I just knew as I had with other little exotics I’ve possessed.